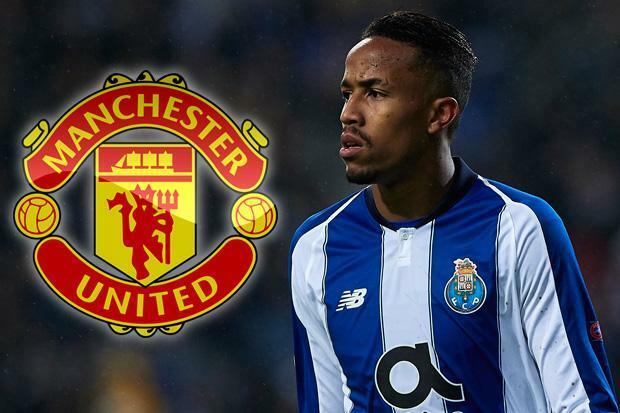 Jose Mourinho’s effort to find a new centre back has been frustrated after failed attempts to sign Tottenham’s Toby Alderweireld and Leicester City’s Harry Maguire last summer and he has now directed his attention towards FC Porto’s defender Eder Militao, reports the Metro. Mourinho’s first choice target is Kalidou Koulibaly, but as United failed in to sign a top central defender in the summer. Mourinho is setting his sight on a younger target who should be an easier acquisition. The 20-year-old has established himself has an integral part of the Porto since his arrival from Sao Paulo earlier this year. His impressive form in his first year in Europe earned him a call up to the Brazilian national team in September at the same time as Andreas Pereira. The versatile player, who can also play in the midfield, will be a great addition to the struggling United squad and that could be one of the reasons Mourinho opted for him. Manchester United are reportedly keeping a close watch on the youngster who is also a transfer target for both Everton and Manchester City. Porto would definitely want to sell at a huge price as the defender only just penned a new five-year deal with the club last summer. There are currently five registered senior centre backs at Old Trafford, but none of them have lived up to expectation this season. Their poor form has seem them ship 21 goals in the Premeier League this season, a record not befitting of a club of Man United’s standing. Maybe the addition of Militao could be the beginning of a much needed change at the club.